All sessions of 2017 MJSP Lecture Series have been concluded. Thank you all for your participation! Here are brief summaries of these fascinating lectures given in October and November 2017 for Autumn series. (For Spring lecture series, see sumarries via this link. ) We hope to see you again in 2018 MJSP Spring Lecture series which will start in May 2018. 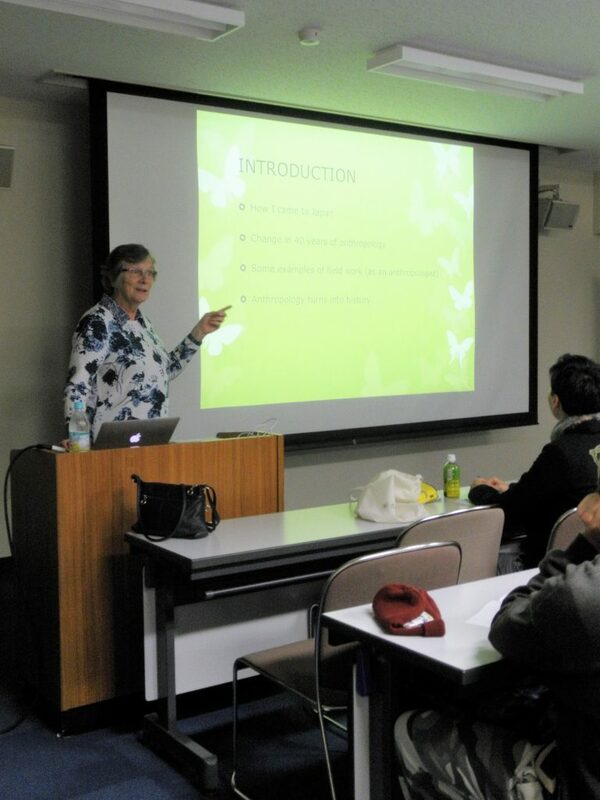 Prof. Joy Hendry from Oxford Brookes University gave a talk entitled “An Anthropological Lifetime in Japan”, outlining more than forty years of ethnographic research into a variety of themes including family, gender, community and social relations. The talk was followed by extensive discussion on the change of Japan and research since the 1970s, when Prof. Hendry started her research. 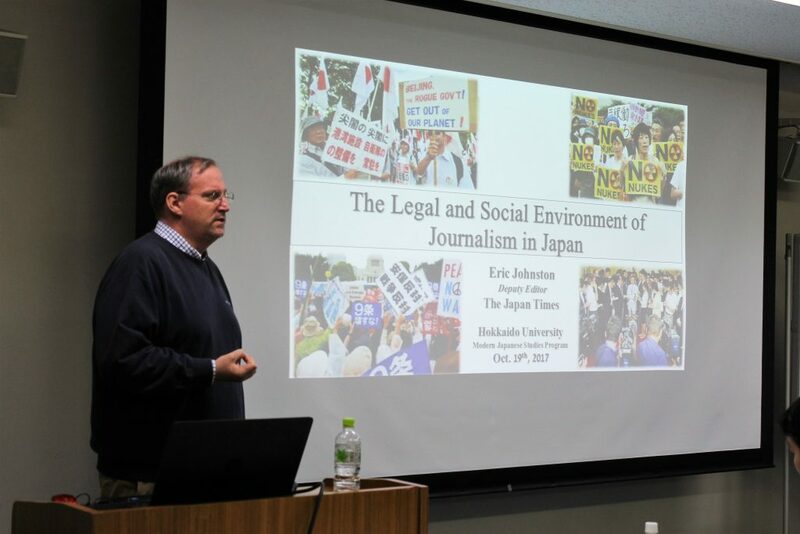 Veteran journalist Eric Johnston (deputy editor, Japan Times) shared his insights from the field as a genba journalist across Japan. Themes included hiring processes of journalists, Japanese attitudes to media and freedom of speech in international comparison, practices in ‘journalist clubs’ and legal issues pertaining to journalism in Japan. 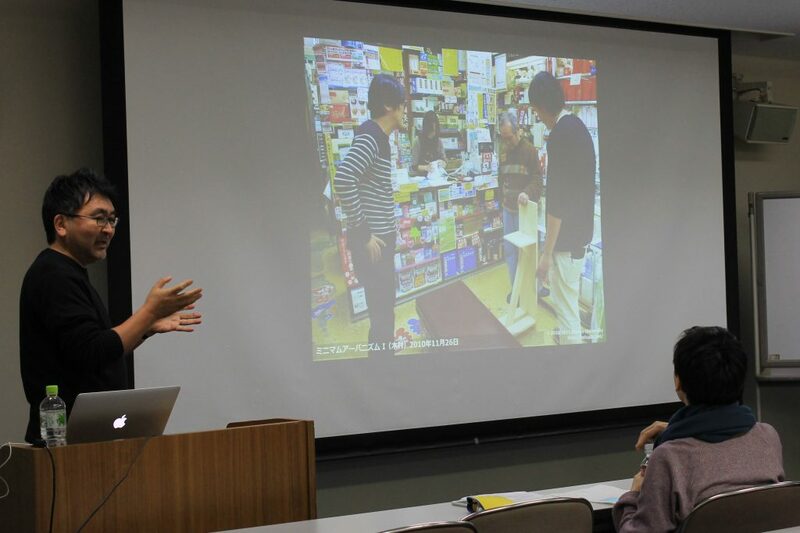 In his lecture about place making, sociologist Kato Fumitoshi introduced his project Curry Caravan, which started five years ago with two artists and received the Good Design Award in 2015. The project involves collaborative cooking of curry in various places across Japan with residents, often with ingredients donated by locals. This intervention blurs the public and the private as cooking tends to happen on the border of private spaces with public roads. Kato discussed challenges and merits of the project, emphasizing the importance of reclaiming the importance of common space as well as spontaneous encounters in contemporary Japan. Thank you, Prof. Kato, for a fascinating lecture! The fourth lecture in the autumn lecture series was given by Prof. Etsuko Kato from the International Christian University in Tokyo. 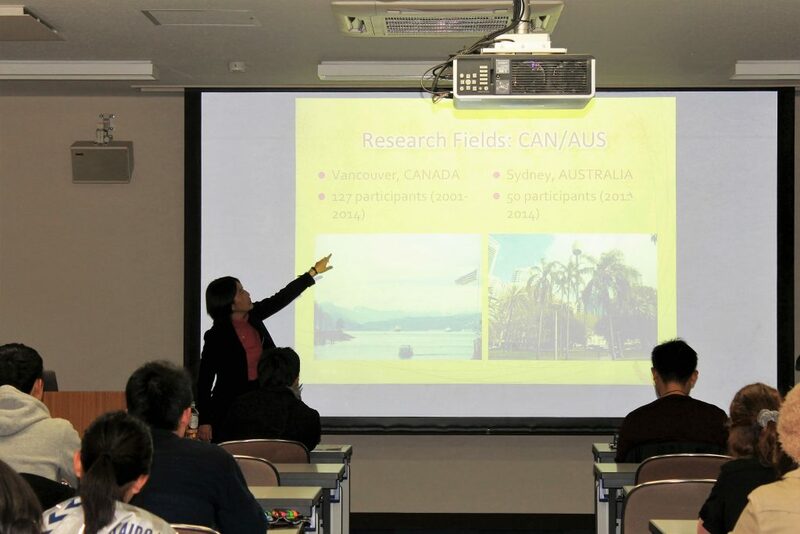 In her fascinating lecture entitled “East Meets West, then East: Asia as Practice, Site and Discourse for Self-Searching Japanese Migrants in English-Speaking Asia”, Prof. Kato started out by exploring the ambiguity and fluidity of the concept of “Asia”. She discussed narratives by Japanese migrants in Australia and Canada as well as findings from recent fieldwork in Singapore. Thank you Prof. Kato for a thought-provoking lecture! 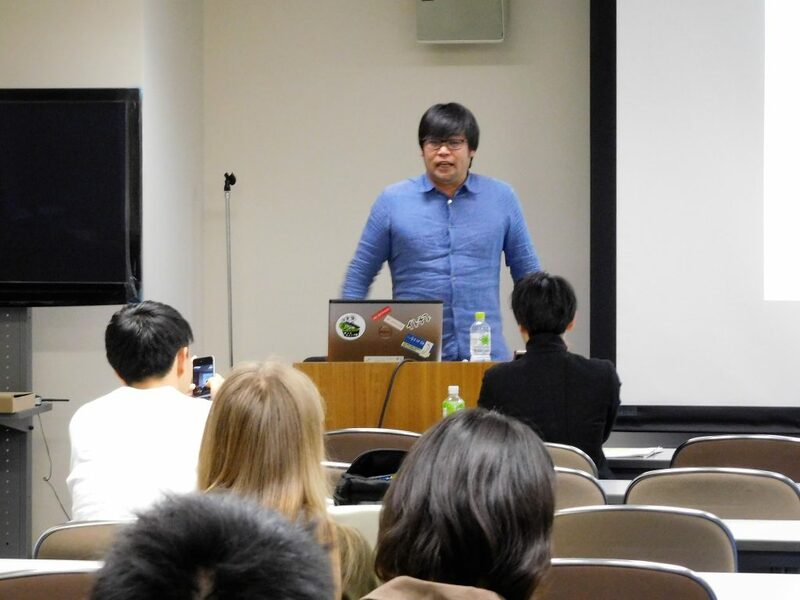 The fifth lecture in the autumn lecture series was given by Hirotomo Kedouin, CEO of Relation in Tokushima. In his lecture held in Japanese entitled “未来と共に、今を生きる！～神山プロジェクトから学んだこと～” (Let’s live together with the future – what I have learned from the Kamiyama Project), Mr. Kedouin outlined his work focusing on the matching of human resources in depopulated regions. Thank you Mr. Kedouin for an informative lecture! 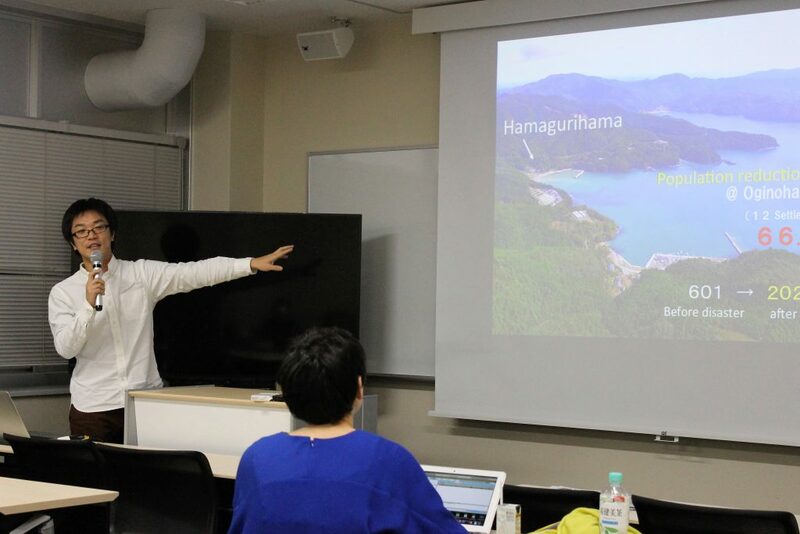 In the last lecture for 2017 entitled “ Hamaguri Hama Project: Creating sustainable settlements” Mr. Kameyama discussed the challenges and opportunities of turning a disaster-struck former fishing village with only five residents into a platform for sustainable activities including experiential tourism, education and fishery as well as agriculture. The number of visitors to the village has grown from 15,000 to 60,000 people per year, with growing residents as new employment opportunities have emerged. Mr. Kameyama’s engaging lecture was followed by a lively discussion with both Japanese and international students. The Basic Admission Policy has been published!